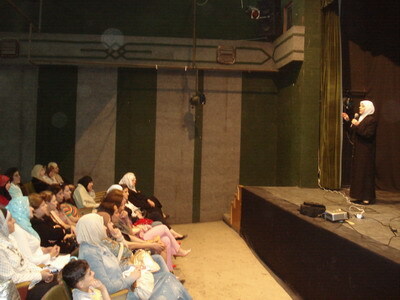 Trainer Duha Fattahi opened the workshop in the main hall of the Cultural Center in Lattakia. This is the second time trainer Duha Fattahi conducts this workshop, this time sponsored by Asrab al-Yamam private school. The workshop lasted for an hour, where she explained each person's concept of success, assuring that the total success includes all aspects of life whether they are professional, social, or personal. Upon mentioning NLP as a science of success, trainer Fattahi explained the history of NLP and its implementations in all aspects of life. She talked about the "Keys” to Success, one after another, emphasizing that these keys were deeply-rooted habits and beliefs in successful people. She compared the Arab World to the developed Western World, proposing that there's no chance to bridge this wide gap unless person starts within themselves, searching deep inside, and transform their actions in a way that suits the needs of society. This workshop left good impressions on the audience, which varied from teachers to businesswomen to activists in different fields. 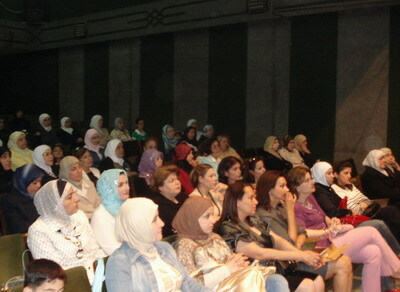 ILLAFTrain news camera spotted Mrs. Asmahan Ojail, the principal of Asrab al-Yamam private school, Mrs. Rehabe Ghareeb, a businesswoman, and Mrs. Bahaijeh Al Al-fadel, the head of Almawrid association-Lattakia, all of which have participated effectively throughout the workshop, enriching it with their own insights and experience. This workshop comes to enrich a program of courses and workshops scheduled by ILLAFTrain-Latakia for the rich summer season. A side of the audience.